This is the first time I've managed to get reflections in a birds eyes - view large to see. Nice angle on this lovely bird! What a beautifully colourful bird and congrats on getting the reflection. lovely clear shot. 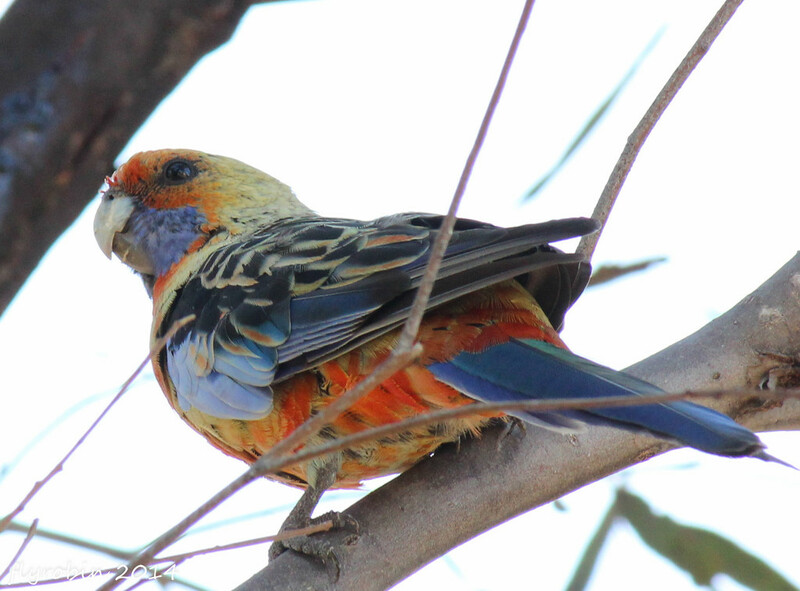 Eastern Rosella? FAV. Terrific shot and detail. Against the black he is just amazing - what a terrific bird - just love the variety of colors. Magnificent colors and great composition! What a beautiful bird and that reflection is awesome! Really cool shot! Beautiful colors. Well done!!! Beautiful bird and capture!!! Much better in black and very nice reflection in the eye!! Such a beautiful bird!!!!!! We don't have anything that colorful here!! We have pretty birds, but they aren't real colorful like this!! I would be in heaven if one like this landed any where near me! Great capture with details and lighting!! FAV! What a beautiful bird and what a great picture! Fabulous Robyn!!! Congratulations on that eye!! Wonderful looking bird! Very colorful. So many amazing colors on his feathers! Nicely done capturing that reflection too!